Services | International Plastic Cards, Inc.
From card and forms design, to personalization and direct mail, IPC provides a wide range of services for your plastic card program and needs. Since 1972, International Plastic Cards has provided exceptional plastic card services in a growing and rapidly changing marketplace. In an industry that demands accuracy and security, IPC has earned a reputation for being a trusted partner and for providing secure personalized services and creative solutions. IPC provides complete plastic card services, beginning with initial artwork and design, and continuing through card and form manufacturing, embossing, magnetic stripe encoding, thermal imaging, barcoding, PIN generation and direct mail fulfillment. Below are some of the services IPC provides. Please contact us to discuss your individual needs. Input data for processing may be supplied to IPC via FTP, ISDN, or email, with secure encryption. IPC also provides manual data entry, sequential numbering, NCOA processing, and automated mail-tracking services. IPC also offers in-house mailing services, with a variety of shipping methods to meet our customers’ needs. 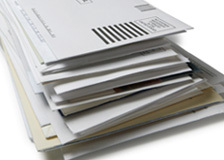 We can manage the direct mail needs for your project or facilitate a solution for your entire card program. When reissuing plastic cards, many customers opt to retain their old PIN. IPC has made this possible through specialized in-house programming. IPC has the capability to provide offset conversions to institutions which allows them to reissue plastic cards without having to reissue new PINs. 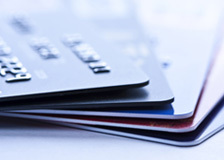 Security is an increasingly important component of a plastic card program, and IPC employs multiple layers of defense to ensure comprehensive protection for our client’s data and inventory. 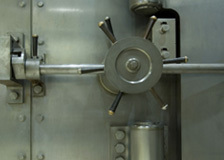 IPC’s safeguard measures include bonded employees, a Class III bank vault, closed-circuit 24-hour video recording cameras, and a total intrusion alarm system. IPC also utilizes an Enterprise-class hardware firewall that is ICSA Labs Certified. 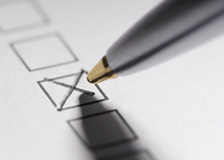 Additionally, IPC adheres to PCI Compliance standards. Please contact us to discuss specific security concerns or needs.